Volvo iconic estate cars have always marked a strong presence amongst consumers. 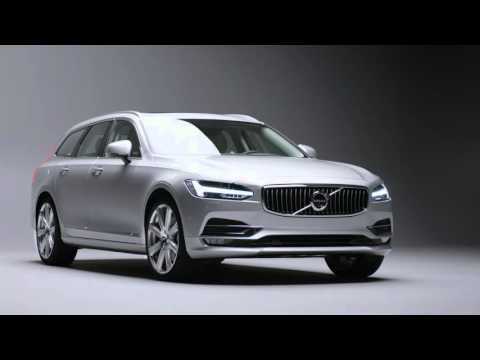 The new Volvo V90 is no different, as another remarkable estate model by Volvo, but it takes the Swedish manufacturer into a completely new era. Scandinavian design combines with modern Swedish luxury to enrich your experience. Intuitive Sensus technology makes life less complicated and keeps you connected with the world, while the latest Drive-E powertrains balance responsive power with class-leading efficiency. And Volvo IntelliSafe innovations support you while you are driving, helping to prevent accidents. They make your journey more comfortable and enjoyable. The V90 is packed with innovative technology that has one purpose: to make life easier; and one principle: it must be easy to use. A big touch screen means the number of buttons could be reduced to a minimum, and as it’s in portrait format, reading scrolling maps is much easier. It brings the human-centric approach of Volvo technologies to life. Travel first class in every seat, every day. It starts with the front seats. Sculpted to complement the human form, they provide superb support and a huge range of adjustment, so everyone can find the ideal seating position. Optional ventilation and massage functions provide even greater comfort. The rear seats are designed to cosset and support, while optional four-zone climate control, retractable rear sun blinds and individually controlled heated outer rear seats add to the sense of luxury. An optional panoramic glass sunroof that floods the entire cabin with light is a design highlight. At night, the cabin glows with the warmth of its interior lighting, welcoming you into the car. The optional high-level illumination lighting package includes backlit door handles and illuminated tread plates, as well as additional interior lighting that enhances the exclusive ambience. Clean Zone technology means the air you breathe inside the car is cleaner than the air outside due to Volvo’s multi filters. It filters dust, pollen, particulates and odours while monitoring the air quality and closing the intakes if pollutant levels rise too high. The shape of the load compartment means it’s easy to fit in awkwardly shaped objects, and a single touch on each of the rear seats allows you to fold them for a longer, completely flat load space. The power operated tailgate has an optional hands-free function so you don’t have to put down what you’re carrying to open it. Sensus is Volvo’s own infotainment system, with a new 9-inch centre display and simple guiding principle – to make your life easier and more enjoyable, whether it’s your comfort, entertainment or navigation requirements. Easy-to-sue controls are a prime feature of Sensus and you will find them on the large, 9-inch centre display with touch screen. Replacing physical buttons with virtual equivalents on the screen allows them to be larger and easier to use. Bold, clear graphics make it easy to absorb information at a glance. And Sensus goes further, with in-car wifi keeping your devices connected to the internet. With Sensus Connect, all of your music is available all of the time, whether it’s direct from your favoured media source or streaming from the internet. Connecting your devices to the V90 is quick and easy. Simply plug your iPhone into the car using the USB connection and you can turn the centre display into an extension of your iPhone using Apple CarPlay. Premium Sound by Bowers & Wilkins gives every occupant of the V90 a superb audio experience, no matter which seat they are sitting in. The unique air-ventilated sub woofer delivers richer, deeper bass by drawing air in from outside the car so it can pulse more air through the speaker. There are 19 speakers, allowing everyone in the car to get the best possible sound, all the time. Controlling Sensus is as easy as telling it what to do. 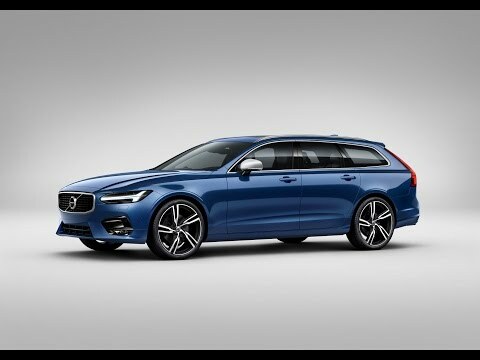 Talk to your Volvo, using natural phrases such as “go to the city centre” or “call Emily Johnsson”, and voice control will carry out your instructions to operate climate control, navigational, infotainment and your smart phone. Find out more about Sensus Connect here. Experience a world where you are connected to your Volvo with the Volvo On Call phone app. Create a wifi hotspot so you and your passengers stay connected to the internet. Plan journeys at home and send the destination to your car, so that when you’re ready to go so is the navigation system. Volvo On Call is also compatible with Microsoft Band so you can use voice control to operate your car remotely. And should you need roadside or emergency assistance Volvo On Call will connect you directly to the Volvo service centre. It also inform you of your car’s fuel level, logs journey data and tells you when your Volvo is due a service. It’s another example of Volvo Cars developing human-centric innovations to improve your life. Find out more about Volvo On Call here. IntelliSafe is Volvo’s intuitive, intelligent technologies that support your driving, help to prevent accidents and protect you in a collision. City Safety is at the heart of IntelliSafe. Fitted as standard, it’s like a co-pilot that’s looking out for you, detecting danger ahead then warning you and intervening if necessary. Pilot Assist adjusts the steering to help you keep the car centred in its lane and at a constant speed or a set distance from the car in front. Run-off road Mitigation is a world-first that steers and, if necessary, brakes for you to help prevent you leaving the road accidentally. Driver Alert Control recognises if you’re tired or distracted and suggests that it’s time to take a break, while Road Sign information reminds you of the speed limit. Add BLIS (Blind Spot Information System) for increased awareness and confidence on the road, alerting you to vehicles alongside you. Find out more about City Safety here. With the perfect balance between performance and efficiency, every Volvo engine gives you on-demand power with low fuel consumption, achieved with the Drive-E engines. The D5 powertrain in the V90 features PowerPulse, a Volvo Cars world-first. It activates the turbocharger as soon as you press the accelerator to give an instant boost of acceleration from standstill and at lower speeds. Find out more about Drive-E here. 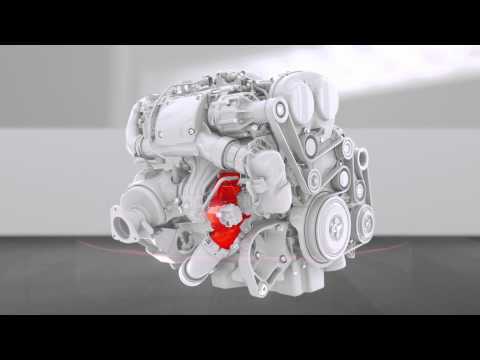 The high-performance powertrain, the T8 Twin Engine, gives you an involving drive as well as cutting CO2 emissions. With 407hp the combination of a four cylinder petrol engine and powerful electric motor offer the power and performance of a much larger engine, but use much less fuel. The 320hp petrol engine drives the front wheels and the electric motor powers the rear, giving instantaneous acceleration and on-demand all-wheel drive. With just the electric motor powering the car, you benefit from silent, emissions free driving and an electric-only range of over 28 miles, which is ideally suited to daily commuting. Four different drive modes offer precise control over the car’s powertrain. Hybrid mode uses petrol and electric power for the best balance of power and efficiency while Pure uses the electric motor only for zero-emission driving. Power combines the full output of the petrol engine and the electric motor for the best performance, while AWD switches to the full-time all-wheel drive. Blend your favourite elements of each mode and create a mode that’s tailored to your needs by selecting individual. * Please contact Sentinel for the launch date; Sentinel is a Volvo dealer offering second hand Volvo models under the Selekt Warranty Programme; if you are searching for a new Volvo, please contact us and we will happily help you source a new model.